As Crail is only 10 miles from St Andrews, and on a regular hourly bus route, it’s the ideal location to chose for a short break. During term time at St Andrews University, we often welcome parents to Sandcastle Cottage in Crail who wish to visit their offspring, and spend a few days nearby without being in the town itself. If you’re self-catering you have the option to have family meals back at your base using the fine ingredients on offer at the many quality food outlets around the county. For winter 2016 and spring 2017 we have good availability to offer at Sandcastle Cottage. Our weekend breaks start on a Friday and end on a Monday, which allows you the option to depart late on a Sunday evening if you need to be home for work on Mondays. Mid-week breaks are from Monday to Friday. Check availability for your selected date by filling in our “Book Now” box. 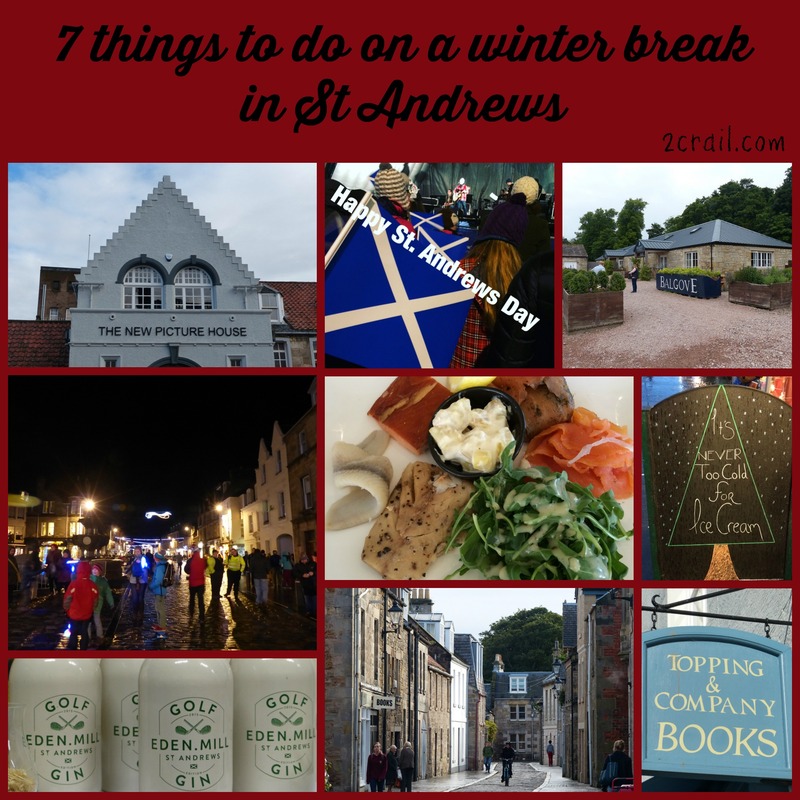 St Andrews is a great place to visit in November as there is a foodie focus with many special events on around town. 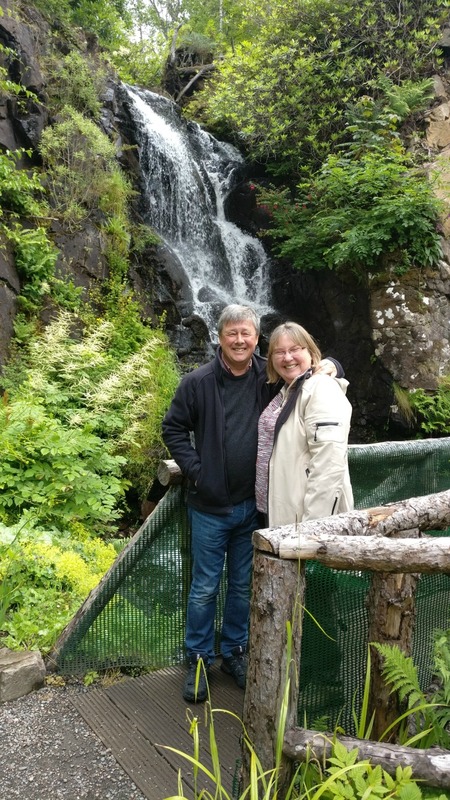 We took a look at a recent food bloggers trip to Fife for some inspiration and ideas of what’s available in the local area. It’s also a good time to get started with your Christmas shopping as the town is compact, but there are plenty of independent retailers for browsing and finding that special something. As St Andrew’s Day also falls in November, there will be events and celebrations to enjoy. Time to tick off the perfect gifts from your Christmas shopping list. Take a short break and enjoy the delights of small town shopping. Crail Pottery or Crail Gallery might just have that elusive gift for the discerning shopper. Or what about treating a loved one to one of Keny Drew’s East Neuk Glass Stained Glass weekend courses? Lots of ideas for you, and plenty of places in St Andrews to browse and buy. For the food lovers in your family, a trip to Ardross Farm Shop or Balgove Larder to stock up on fine food gifts could be just the thing. If you’re looking for somewhere to spend Christmas with the family, we offer breaks at a minimum rental of £600 during the period from 19 December 2016 – 6 January 2017 which entitles you to stay for up to 5 nights. After New Year, you will be wanting to get a head start on your Resolutions, so a short break may be the ideal opportunity to take brisk walks by the sea on one of the shorter parts of the Fife Coastal Path. 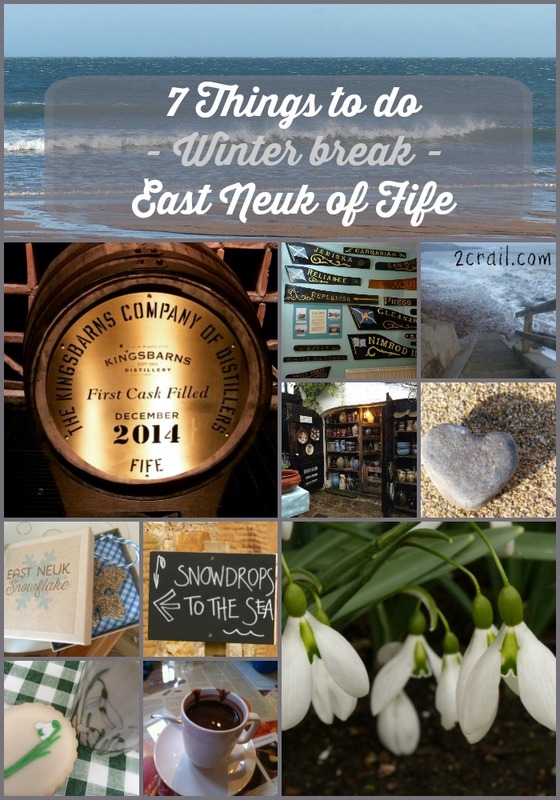 The East Neuk sections are ideal for shorter walks, such as Elie to Crail or Fife Ness Circular. In February we’ll all be looking for signs of spring, and Cambo Snowdrops is our favourite place to look! A wander round the walled garden which looks spectacular at any time of year, then a warming drink in the Snowdrop Cafe and perhaps some snowdrops ‘in the green’ to take home and start your own collection. Read about more things to do on a Short Break in February. 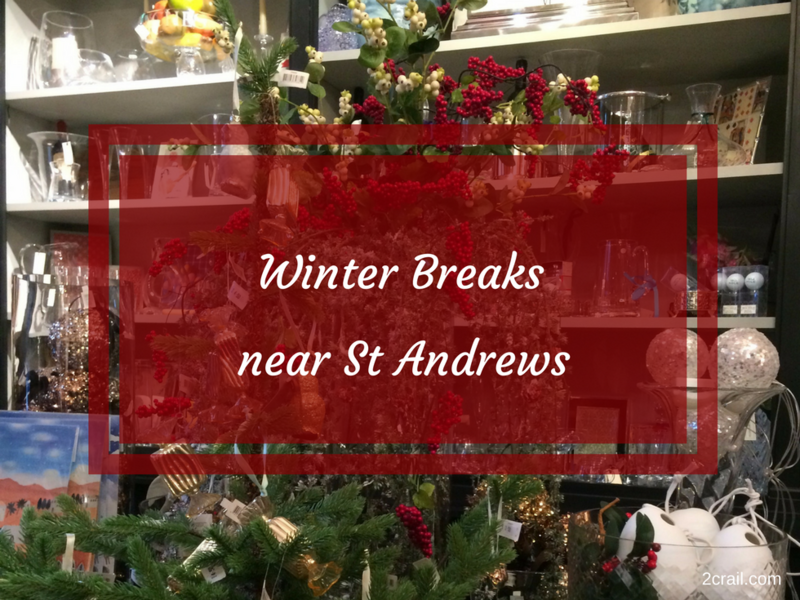 During the autumn and winter, we’ve focused more on indoor things to do in St Andrews as it’s likely to be chilly. You’ll want some options of places where you can warm up after a walk by the beach or round the town. We hope we’ve given you plenty of ideas for things to do on an autumn or winter short break in the East Neuk of Fife near St Andrews, and look forward to welcoming you to Sandcastle Cottage soon.